Todays meet the maker is also our Twitter maestro Lisa of Cottage Coppicing. 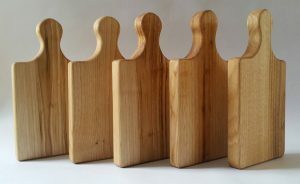 I make traditional and contemporary coppice products and wooden gifts for the home and garden. I coppice the hazel myself in a 9 acre ancient semi natural local authority woodland that I’m currently restoring. All the other timber I use I buy locally from tree’s sourced mainly in Wales, or foreign hardwoods recycled in Wales. Completely by accident! I was running a successful dog walking business until I was bitten, not seriously but enough not to want to continue doing it. Around the same time my dad had taken early retirement and had done some coppicing and green woodworking courses and was coppicing a (then) Forestry Commission woodland. My youngest child had just started school and my dad knew I’d enjoy it so he invited me to help him out. I was hooked from day one! It was only meant to be a hobby, until I decided what I was going to do next. But coppicing led to green woodworking which led to woodworking which somehow led to Cottage Coppicing! I found that I had a knack and great enjoyment for working outdoors and with my hands and haven’t stopped since. My dad still coppices with me but now it’s a woodland I have the agreement with! I was born in Telford, England and moved to Wales when I was in primary school. I travelled a lot as an adult and have lived and worked in both Belguim and Australia. I moved back to Wales 8 years ago after my children were born to be closer to family and friends. I love Wales, it’s the place I call home. My favourite part about being a maker is the chance to be creative, work with my hands and work outdoors. Practically, being my own boss allows me the flexibility to work around my family life, school drop off’s, school holidays etc. I love making the crayons. 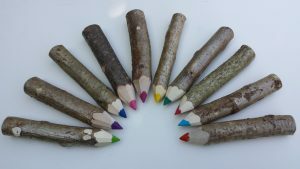 Firstly it involves time working outside in the woods and then all the processes in the workshop create rainbow coloured wood shavings and rainbow coloured dust! My kids, history, archaeology, the natural world, natural patterns in nature. My proudest moment is probably having one of my items on the front cover of Rob Penn’s book ‘The man who made things out of tree’s’ and being named as a contributor on the back page. I hate litter and people who think it’s OK to drop litter. Although, there are laws around littering I would like to see them upheld more with stricter penalties for offenders. Give half away to charity. Boring grown up things like pay the mortgage off. Big family trip to Australia (my eldest child was born there), and buy a wood of my own with whatever was left. 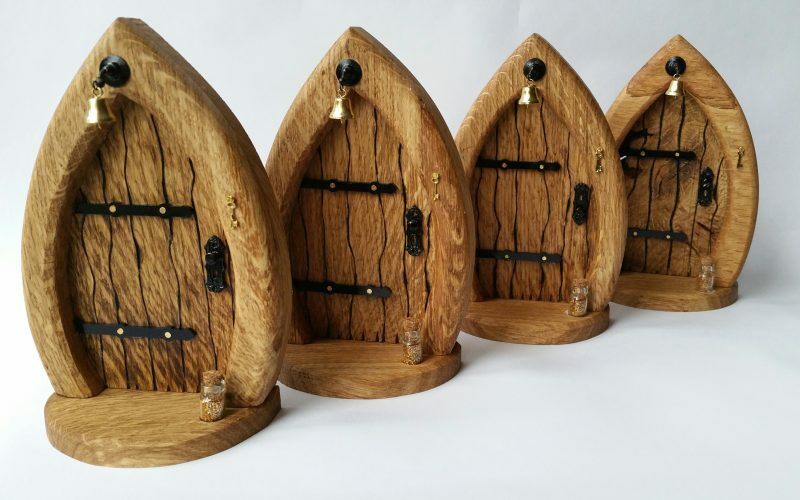 You can find Lisa on Etsy at any time, and of course she will be with us at Tramshed on the 4th of December with her amazing makes!